Dr. Robert R Zaid, DO is a Doctor primarily located in Novi, MI. He has 14 years of experience. His specialties include Family Medicine. He speaks English. Dr. Zaid has received 3 awards. The overall average patient rating of Dr. Robert R Zaid is Excellent. Dr. Robert R Zaid has been rated by 12 patients. From those 12 patients 2 of those left a comment along with their rating. The overall rating for Dr. Robert R Zaid is 4.9 of 5.0 stars. I had neck pain for two weeks, I was referred to Dr. Zaid from a friend and he noticed something wrong with my upper back and did some stretches and after I walked out I had much less pain. Robert Zaid is Family Medicine Doctor at PrimeCare of Novi and will see his patient in both the office nd at the hospital. 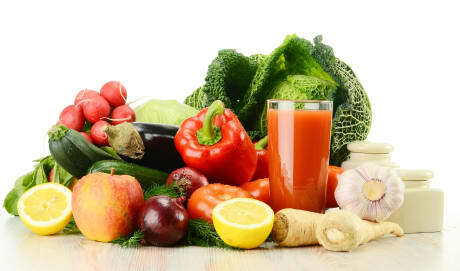 Dr. Zaid is a graduate of the University of Michigan and the Michigan State University Medical School. He finished his residency at Genesys Regional Medical Center in Grand Blanc and is board certified in family medicine. Though trained to care for pediatrics, adults, geriatrics and sports medicine, he has taken interest in many areas including childhood asthma, dermatology, diabetes and osteopathic manipulation. He grew up in Walled Lake and is very enthusiastic to start to give back to his community. He is an avid golfer and writer and believes that the key to a healthy lifestyle involves great communication between physician and patient coupled with good preventative medicine. Good decisions can be made only when there is cooperation between family and physician. He also believes that the Family Doctor is the quarterback in the health care team and needs to make sure that the patient is informed and making the best decisions. With that responsibility is deciding which specialist or treatment makes the most sense for each situation. He also feels that it is important to see his patients when they are admitted to the hospital so that he can provide the best continuity of care. Prevention is the key to maintaining good health and at PrimeCare of Novi, Dr. Zaid and the other Novi Family Doctors use evidence based medicine to make the best decisions. We have an electronic medical record which allows us to send information to other offices in Novi or anywhere in the country within seconds. Both Dr. Zaid and Dr. Shively preach consistency and you can be assured that they are both on the same page when it comes to your healthcare. Dr. Zaid has recently published articles on Osteoporosis, Asthma and Electronic Medical records. Make an appointment with Dr. Zaid cause he can't wait to meet you! 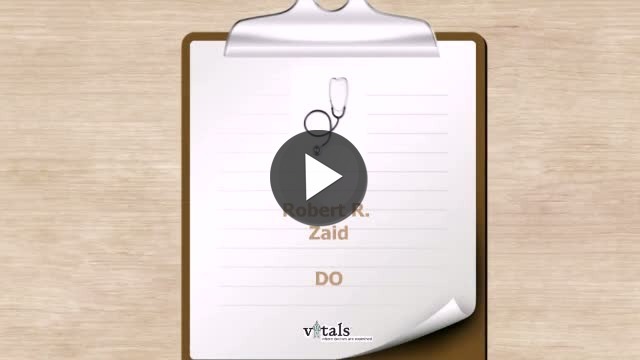 Take a minute to learn about Dr. Robert R Zaid, DO - Family Medicine in Novi, MI, in this video. Dr. Robert R Zaid is similar to the following 4 Doctors near Novi, MI. Have you had a recent visit with Dr. Robert R Zaid? Select a star to let us know how it was.